Travel planning has changed a lot in the last couple of years, now a smartphone it's all you need to plan your dream trip. Remember the hours you wasted in front of a PC, looking for a cheap flight, or the best available rate for a hotel room? Remember when you had to carry a backpack just to store the local map and the stupidly expensive 300 pages city guide? Well, do you remember? Fear not, those days are over, in 2017 all you need to plan, execute and light up your trips is a smartphone. Easy, no? Not so fast, the smartphone is not enough, you need to choose the right Apps, and that is what we're going to tell you. Once you have chosen your destination, the next step is to book a flight, preferably a cheap one, so Hopper should be one of the first Apps to use. Hopper alerts you, through a notification, to the best time to book a flight. Most of the options allow you to book a flight, hotel and rent a car, and one of the best is Momondo. 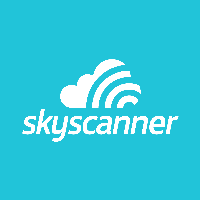 Another good option, especially for the ones that haven’t decide where to go and are looking for low rates, is the Skyscanner, just choose “Anywhere” and you’ll receive suggestions for several cities. To book hotels, Hotel Tonight promises the best last minute deals, but if you wish to “live like a local” Airbnb is still the most searched option, featuring now the possibility of reserving experiences in several cities. 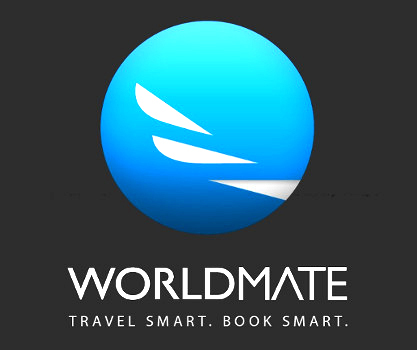 You’re all set to go, now you have to organize yourself, Apps like Tripit or Worldmate, are great to organize your reservations. Just by sending the confirmation e-mails for all the reservations, you’ll receive the complete organized schedule that you can share with your friends. So, you decided where to go, how about trying to learn words of the language you’re going to find? Duolingo is an app that is simultaneous a game, and the progress is made by passing through several levels of learning, and once you’re there the globally famous Google Translate, will help to understand the street signs or the menu option in a restaurant, just point the camera to the word and the app will translate it into 90 languages. metro, trains, boats, bicycle routes and even services like Uber, gathering real-time departure schedules and eventual delays. To help you with restaurants suggestions and reservations we have Foodspotting, this app has a different approach, here you choose the local specialty you want to try and the app will give you the best options based on the users’ recommendations. To pay the bill use XE Currency, which converts any currency in the world and it can be used offline. Last but not least, you have to document the trip and so let’s avoid the Instagram cliché, LiveTrekker will mark in red the route you take, allowing you to add photos, videos, audio and texts along the way, creating a multimedia diary that can be shared with friends.